NFL cornerback who was selected fifth overall by the Arizona Cardinals in the 2011 NFL Draft. He quickly became one of the NFL's top corners and was selected to his first Pro Bowl team during his rookie season. 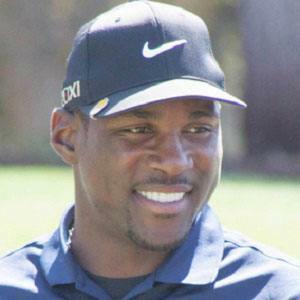 He was a highly decorated player both in high school and at Louisiana State University. He was named 'Defensive Player of the Year' by USA Today as a high school senior and was a two-time First-team All-American in college. He tied an NFL record for most punt returns for touchdowns in a single season with four in 2011. All four of those returns were longer than 80 yards. He was born into a football family with several NFL players, including Bryant McFadden, Walter McFadden, Sinorice Moss, and Santana Moss. He married Antonique Larry in 2012. His punt-return record is shared by Devin Hester.